The special material used in the 1GS provides Bats which hibernate underground with the moistness that they prefer. The material absorbs moisture from the surroundings, thereby creating the right climatic conditions. 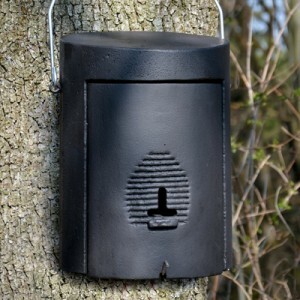 Use as winter quarters: The 1GS can be installed in areas protected from frost, making it ideal for accommodating large numbers of these animals. The internal height and the volume have been carefully designed to meet the requirements of hibernating Bats, which prefer to have the back and front of their bodies in contact with the roost, and the interior of the 1GS recessed block with its variable cross-sections and niches is ideally shaped for this purpose. Use as summer quarters: The 1GS is also ideally suited for summer use. Individual male Natterer’s Bats and also small groups of Daubenton’s Bats often roost on open culverts and under bridges. 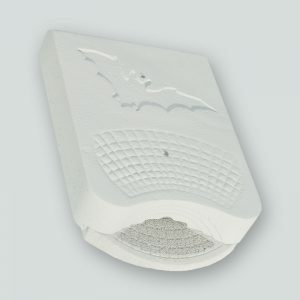 The 1GS block provides an ideal daytime roosting place for them and other types of Bats. 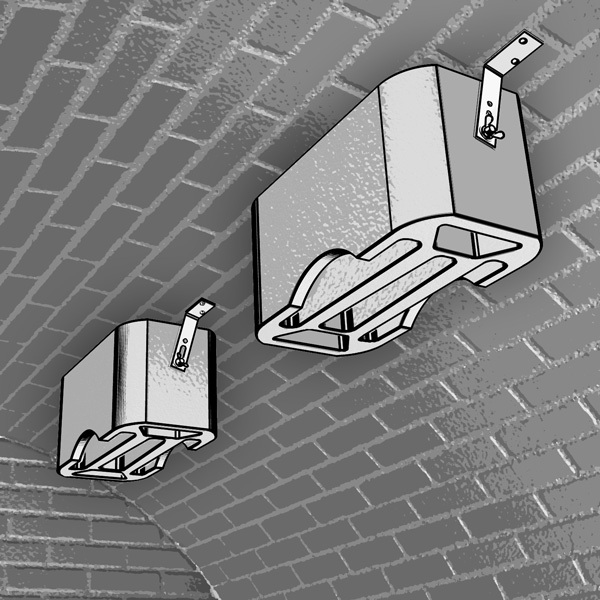 Fitting: Adjustable, rustproof brackets are used to attach it to ceilings and walls and even to the rounded insides of tunnels. Direct contact with the wall or ceiling helps with the absorption of available moisture and encourages the Bats to colonise a site. 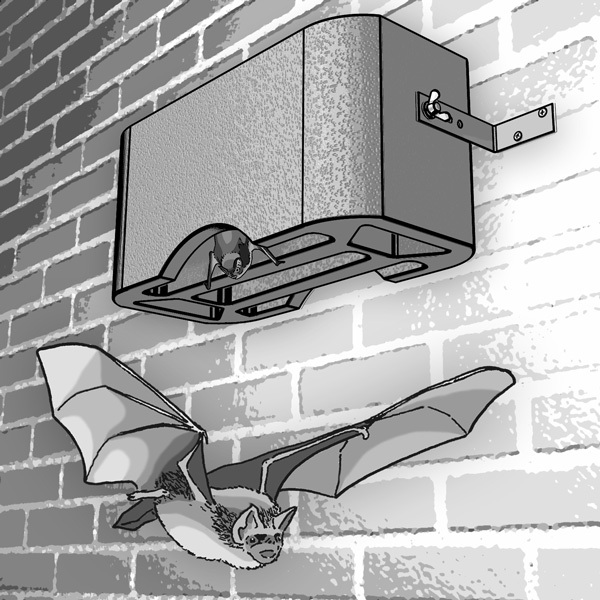 Efforts to protect Bats are assisted if the 1GS block is installed in an undisturbed place free of draughts, and where the air is moist. 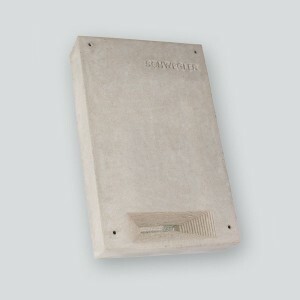 Material: Special lightweight concrete that insulates and also absorbs moisture. 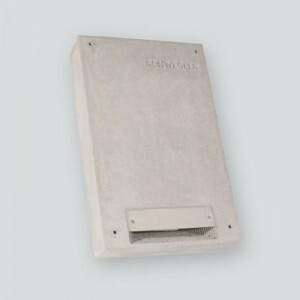 Attachment: With the enclosed, freely adjustable brackets (corrosion resistant). Inspection and cleaning: Can be very easily checked from underneath using a torch. Cleaning is not necessary (self-cleaning). External dimensions: W 43 (with + 7.5 cm for each bracket) x H 20 x D 20 cm. Interior Crevices: 25 – 50 mm, varying, horizontal and vertical. 5 types and sizes of crevice, Orientation radii to encourage adoption. Includes: Brick Roost, fixing bracket.